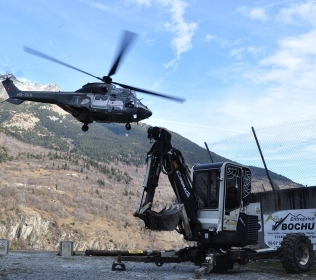 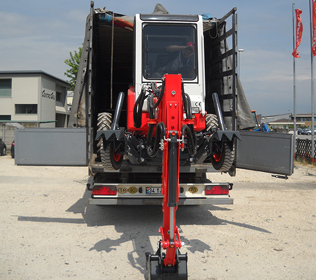 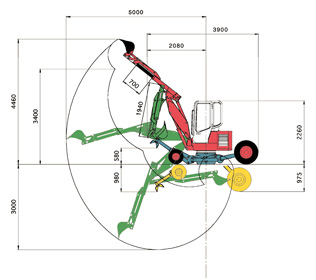 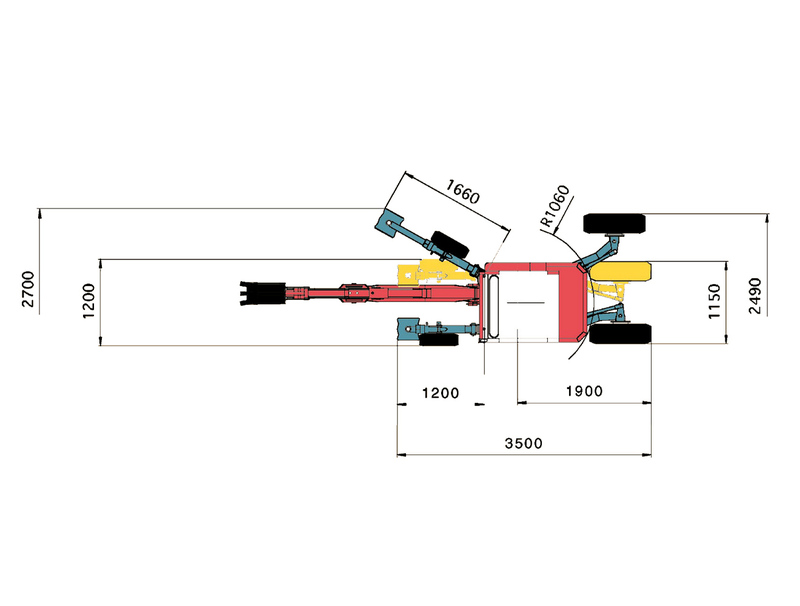 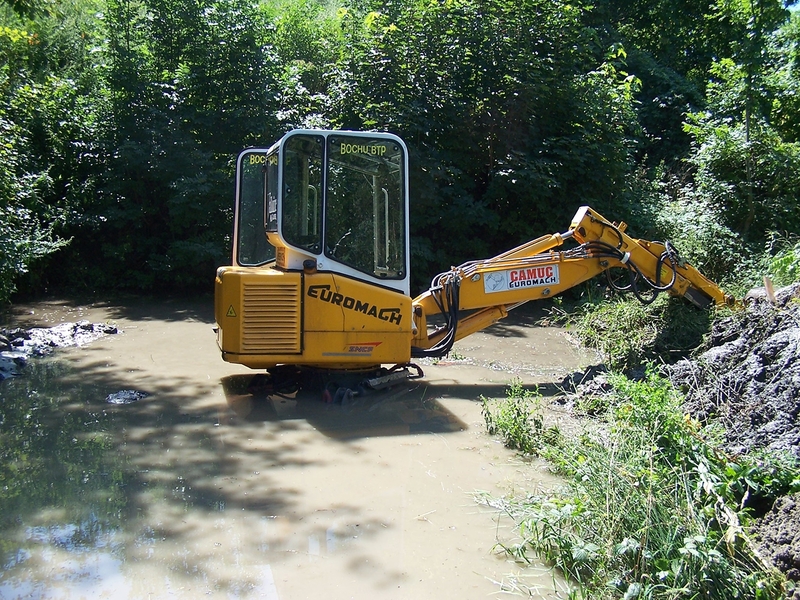 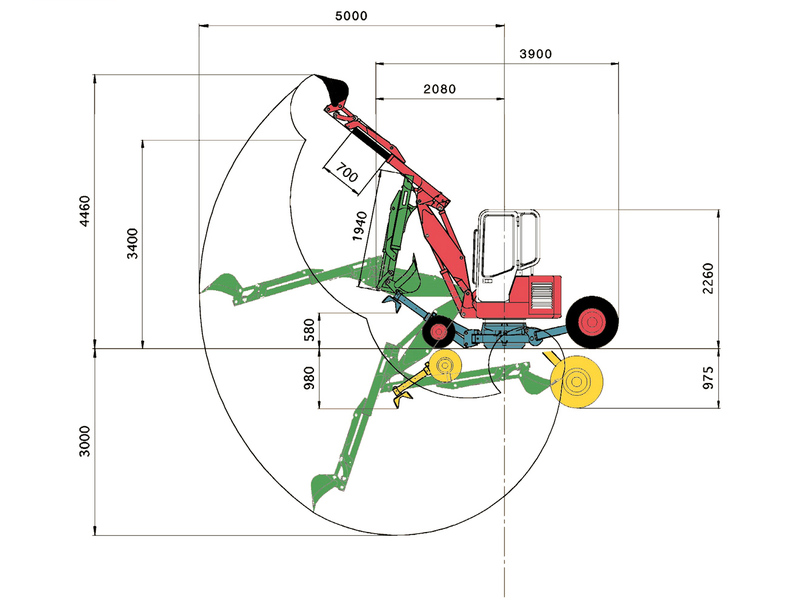 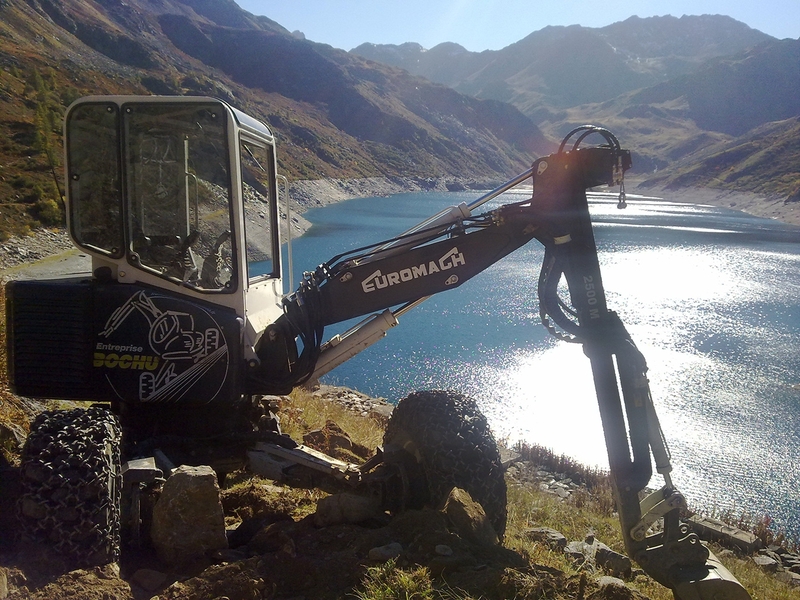 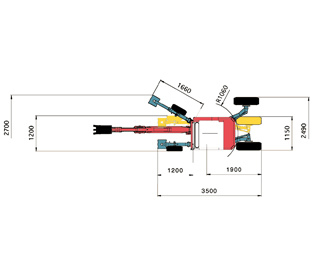 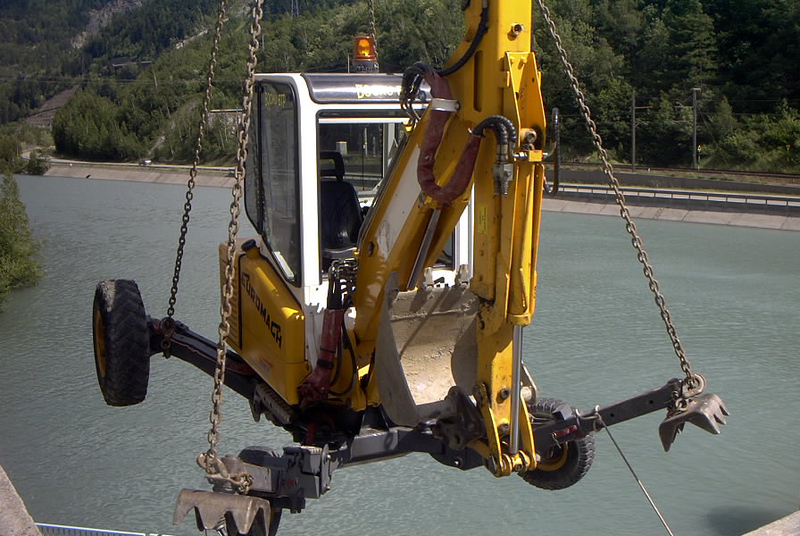 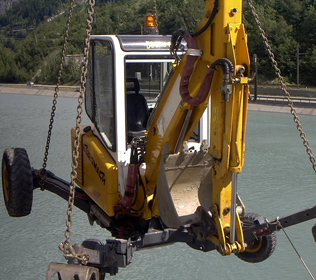 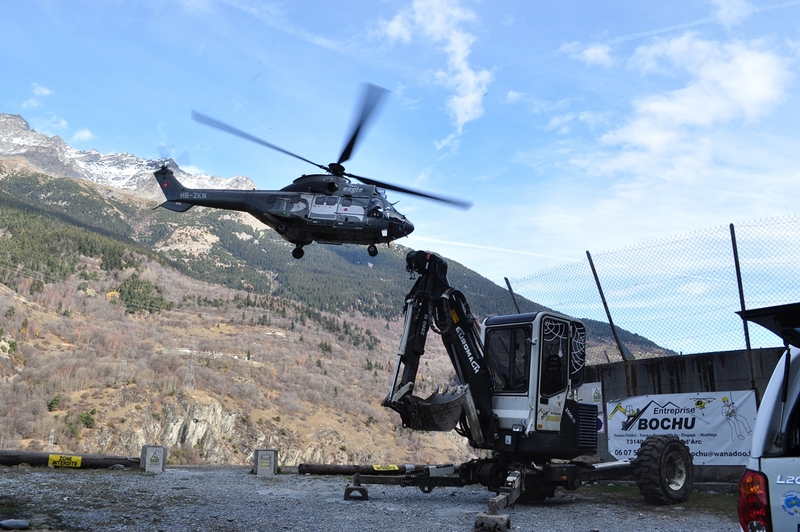 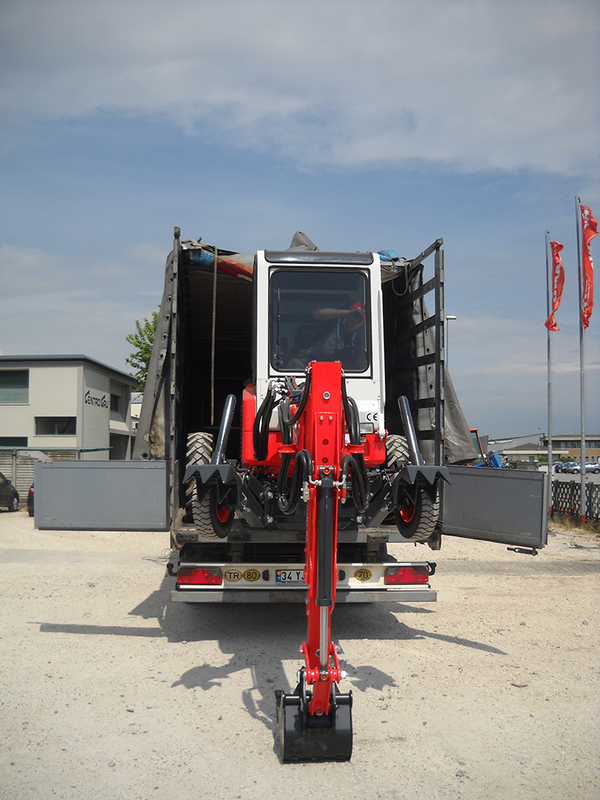 The Euromach 2500 Mobile spider excavator has a limited weight of 2600 Kg and so can be transported by elicopter. 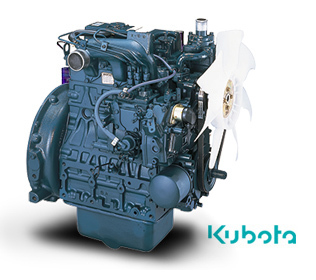 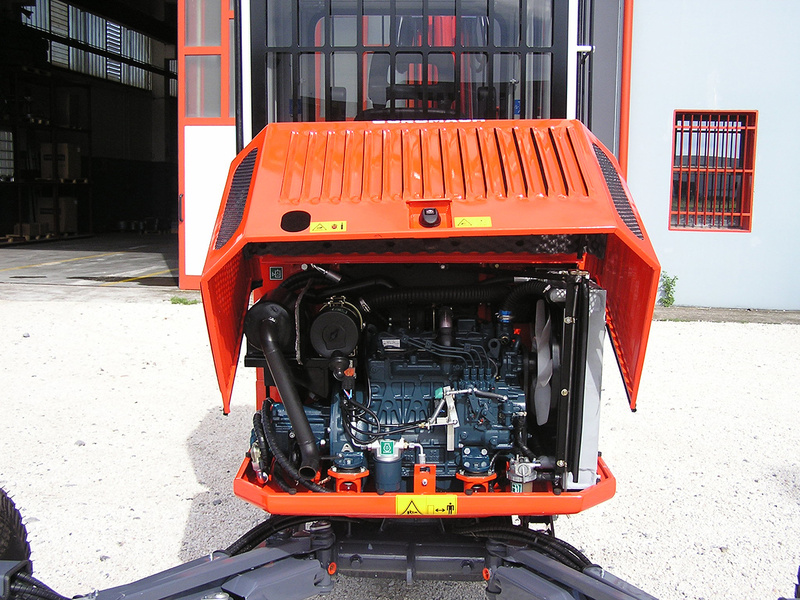 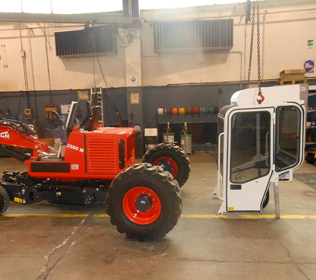 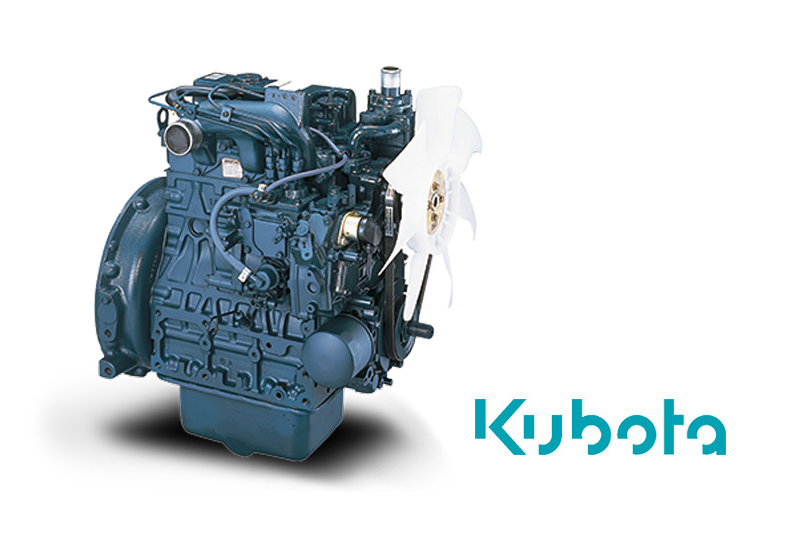 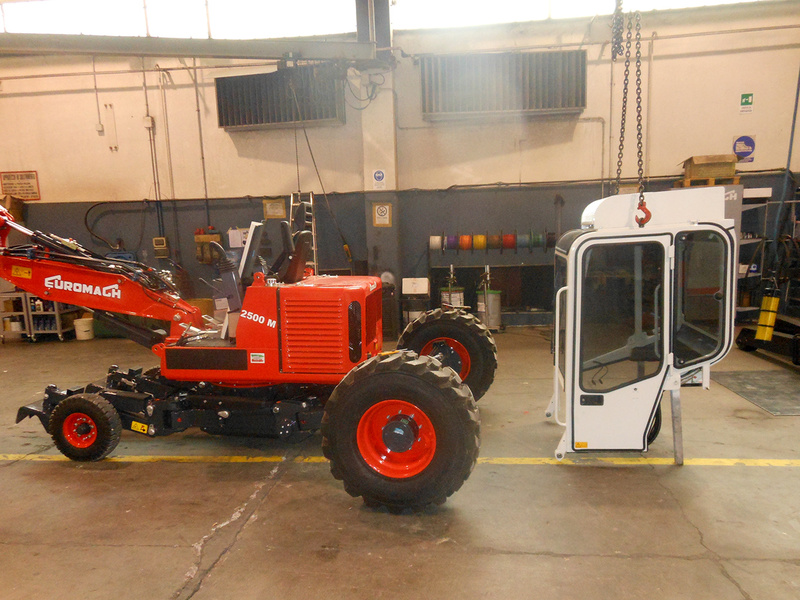 It has a Kubota engine of 42 Hp with enough power to install a small forestry mulcher or a small drill. 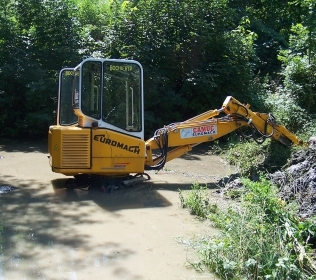 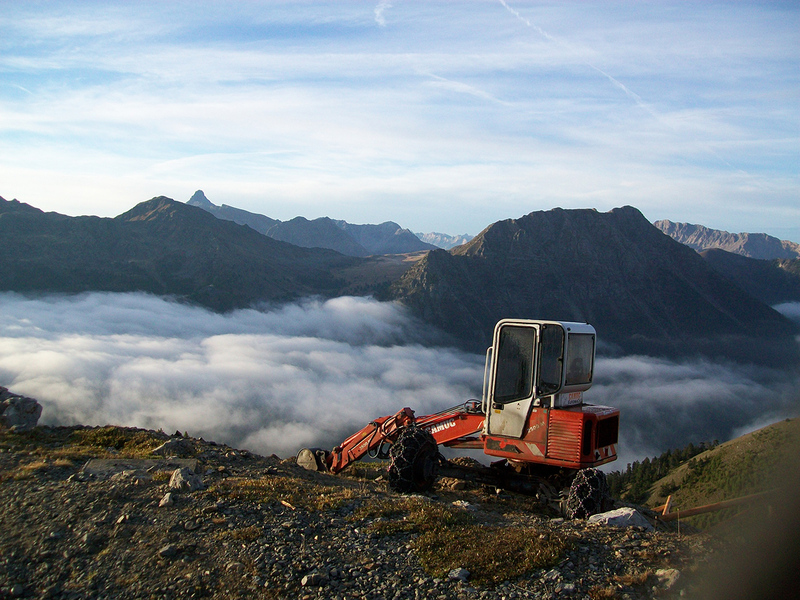 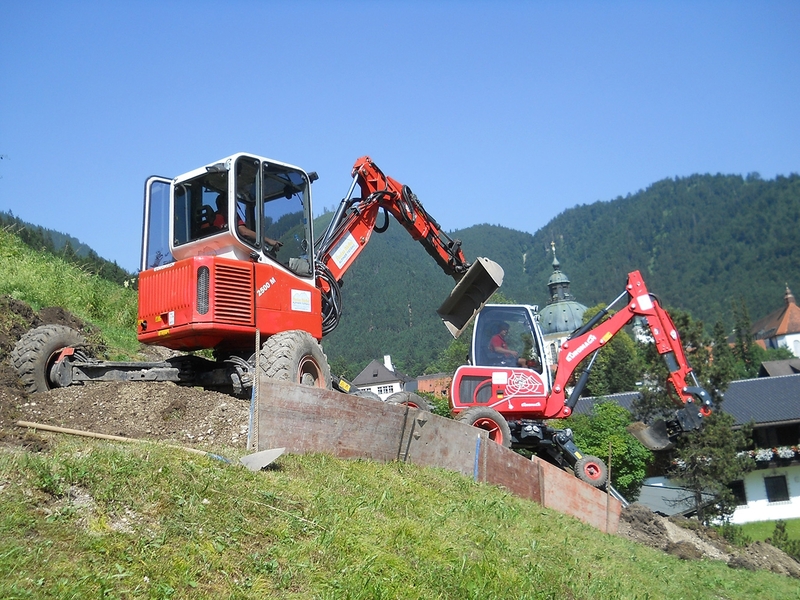 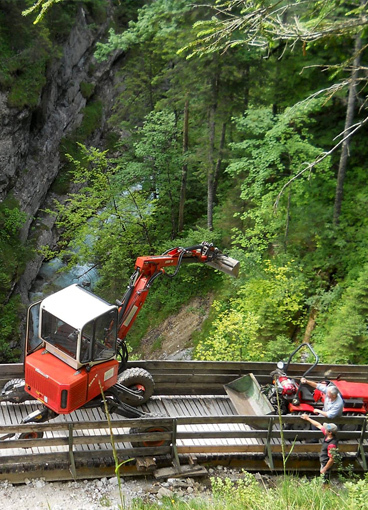 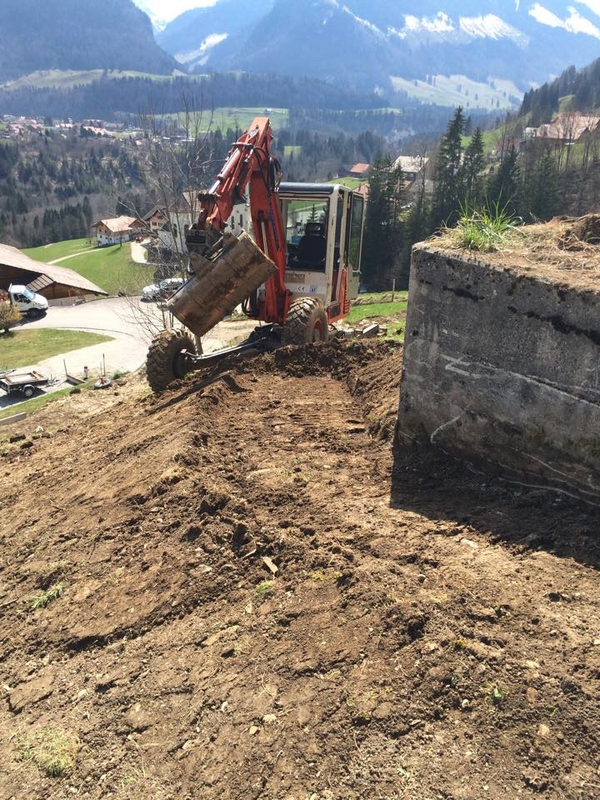 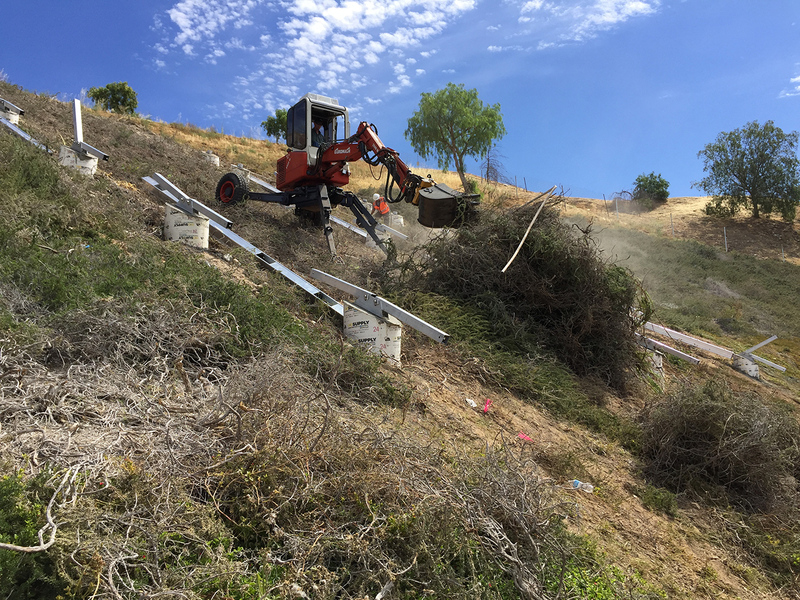 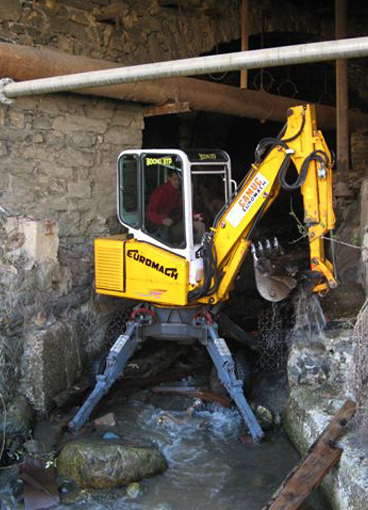 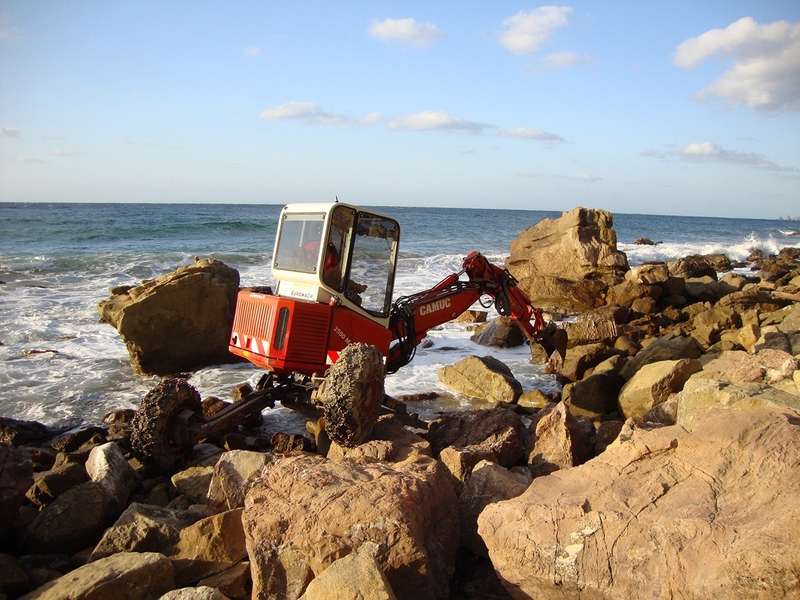 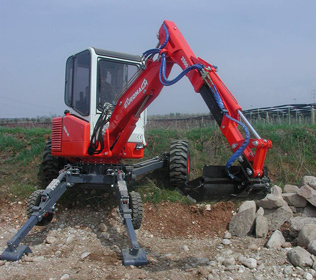 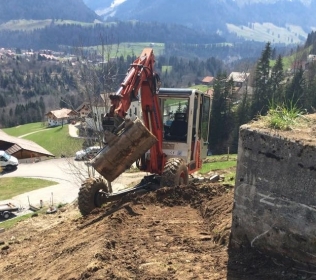 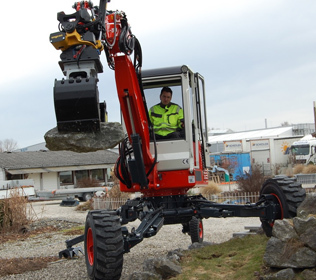 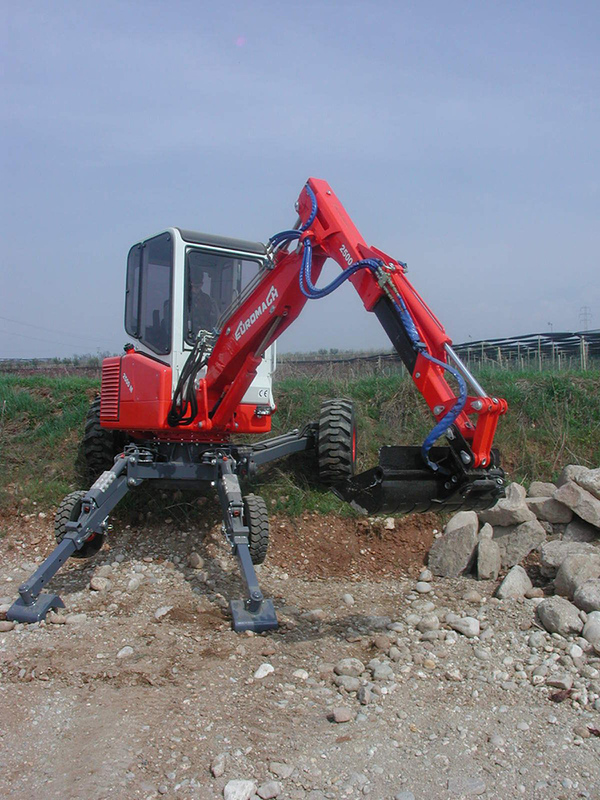 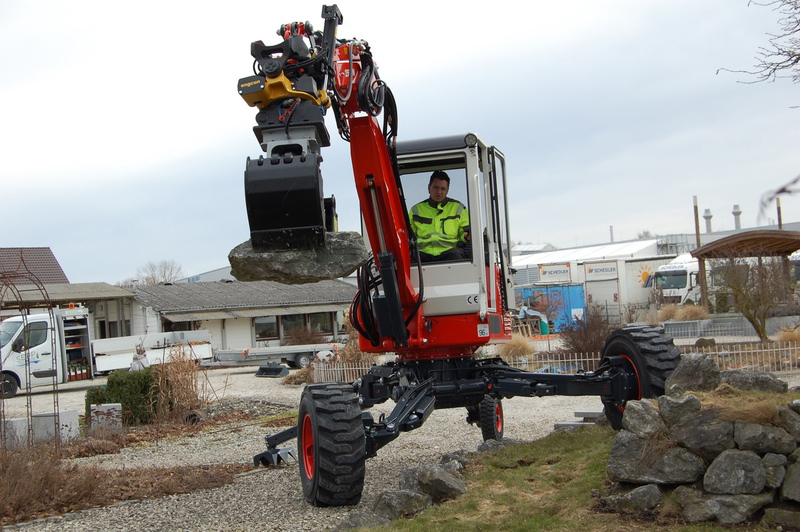 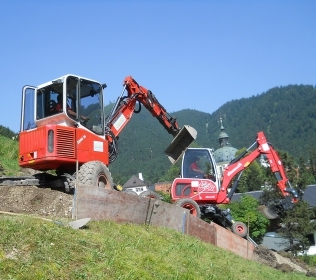 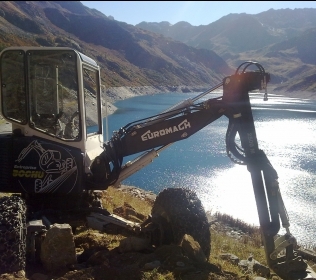 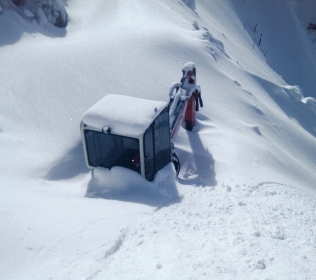 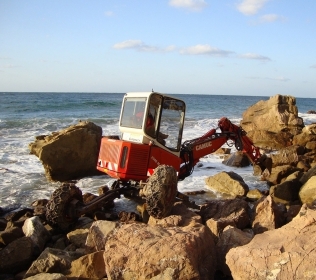 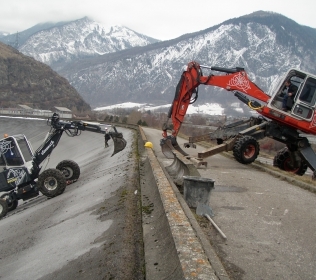 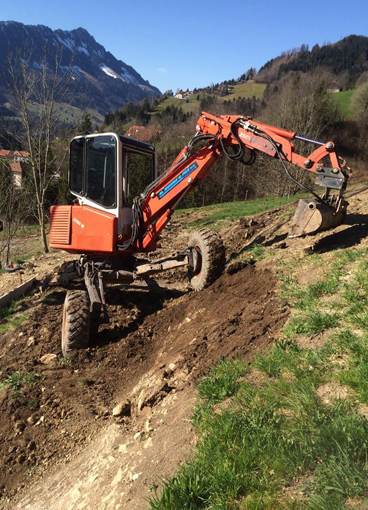 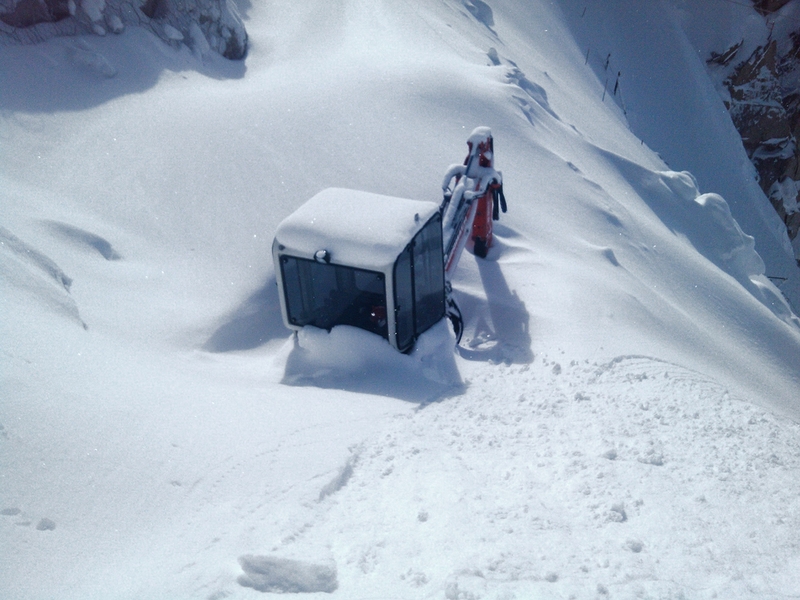 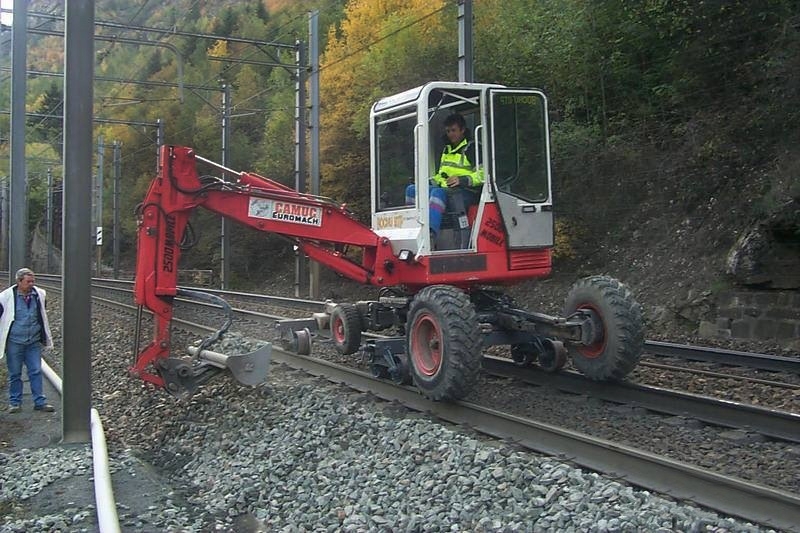 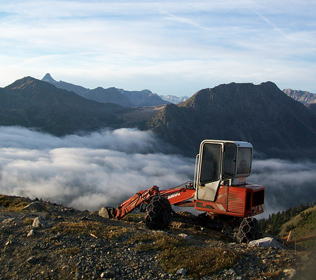 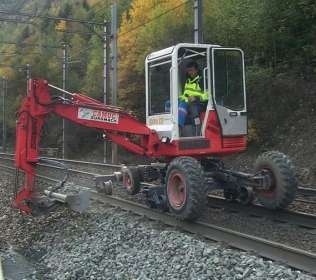 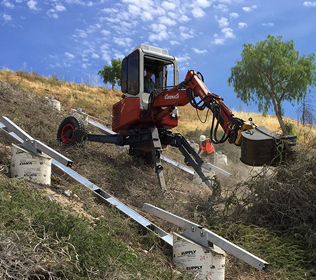 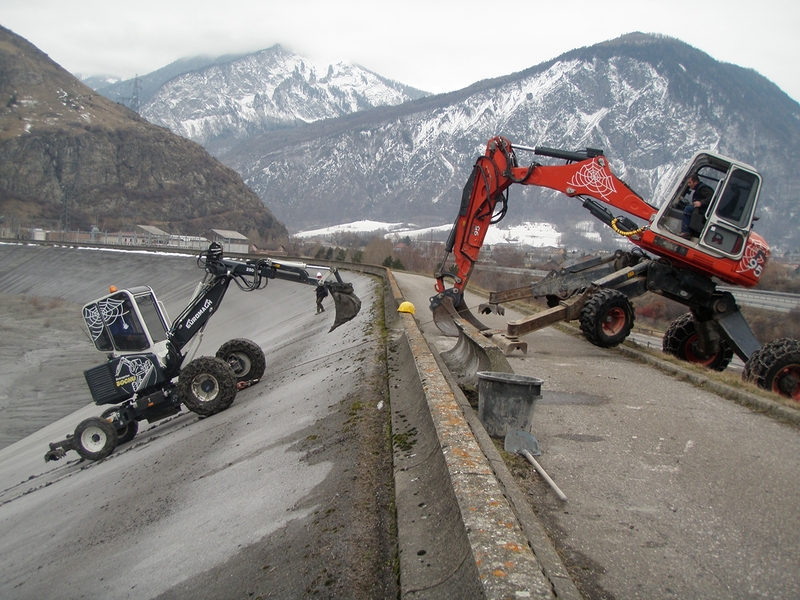 With a gauge of 1150 mm this excavator can easily move in very narrow mountain paths. 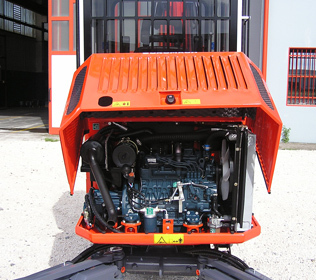 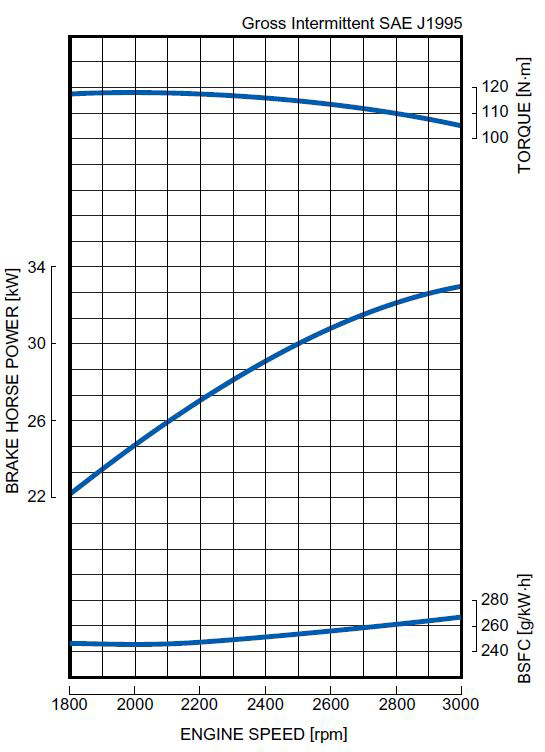 The heated cabin (air-conditioning is an option) can be temporarily removed when the machine has to work in places with height limitations (for example under a bridge).